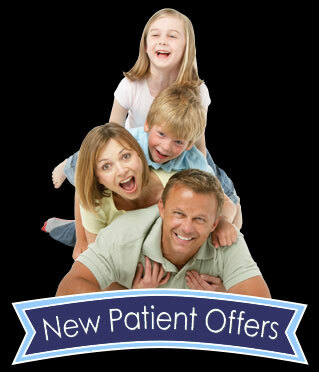 Bridgewater NJ adult dental care for root canals, migraine headaches, diabetic patients! Maybe you have gotten used to living with severe headaches, shoulder and neck pain, and aching or popping jaws. But imagine how good you would feel if you no longer needed to suffer. These problems are often brought on by a dental malocclusion - that is, your upper and lower jaws do not mesh properly and rest in the position nature intended. This tension in the muscles around the jaw results in various pain. Our doctors can correct your malocclusion, allowing the jaw to relax, and relief can be brought to adjacent muscles. If you endure TMJ/TMD problems, you will be happy to discover a new quality of life without aches, pain, and discomfort. We encourage regular visits to our hygienist for professional cleanings. Plaque may build up anywhere on teeth, even with regular brushing. When it solidifies into tartar, it cannot be removed with a toothbrush. If it spreads into the gums, there is risk for tooth loss. Research has also discovered that gum disease can be part of the reason for diabetes, stroke, and heart disease. This is why we recommend having your teeth cleaned regularly! Root canals can salvage a tooth from the need for extraction. It is known that removing a tooth should be avoided, as it can create new dental problems in the future. A root canal is performed when a tooth has infected or damaged roots. During this therapy, the interior pulp of a tooth is taken out and replaced with a special filling material. Sometimes for additional strength, a crown is placed over the tooth. With today's techniques and advanced anesthetics, patients find this procedure quite manageable. Our doctors are highly experienced in root canal therapy, delivering successful results for our patients. If you are diabetic and have problems controlling blood sugar levels, it may be the result of gum disease. 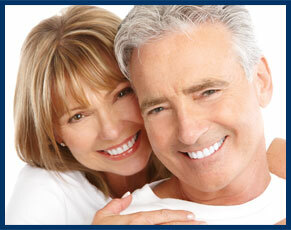 Gum disease and uncontrollable blood sugar is a predicament with one problem affecting the other. Not all dentists have the unique qualifications to help dental patients with diabetes. Ours have received the necessary training for this specific type of care. 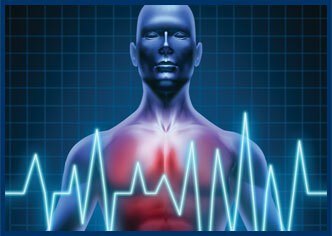 We provide a free consultation for a diabetic's needs. You never need to feel ashamed or embarrassed about the condition of your oral health. We are nonjudgmental and compassionate in helping you resolve this condition. We can offer a non-drug solution to tension and migraine headaches. This little miracle, called an NTI device, is placed in the mouth to relax the scalp muscles. This prevents most occurrences of headaches. Clinical testing revealed patients had a 77% reduction in migraines. This is an FDA-approved, effective alternative to medication. It works fast, painlessly, and is affordable. Call us to learn more about this device if you suffer from headaches. Our teeth show signs of age and wear and tear just like our bodies. Years of coffee consumption or tobacco use will stain teeth and remove their luster. Plaque may go unnoticed until it reaches the point of decay or infected gums. Taking medications can reduce the flow of saliva through the mouth. Fillings may loosen over time, making it easy for decay to begin under them. With regular dental visits, we can address problems while still in the early stages. It is especially important to take care of gum disease or root decay, a common problem with seniors, before bigger issues develop. We always encourage seniors to continue with healthy dietary choices and proper daily cleaning. If you experience bleeding gums or loose teeth, please call us immediately. About 5 million teeth are knocked out from trauma and injury to teeth while playing sports each year. That number is just for the United States alone! We don't want you to become one of these statistics. Acrobatics, basketball, boxing, football, gymnastics, handball, ice hockey, lacrosse, martial arts, racquetball, rugby, shotputting, skateboarding, skiing, skydiving, soccer, surfing, volleyball, water polo, weight lifting and wrestling. If it's time for your next dental hygiene visit, or if you're ready to schedule a no-cost/no-obligation consultation, call us now at (908) 214-7686.